I have not posted all three of my meals in a while because I just have not had time or they have been repeats and leftovers. But today, I have had three original meals all worthy of being posted. I started my morning with an early workout and then I came home to get ready for school, and EAT! 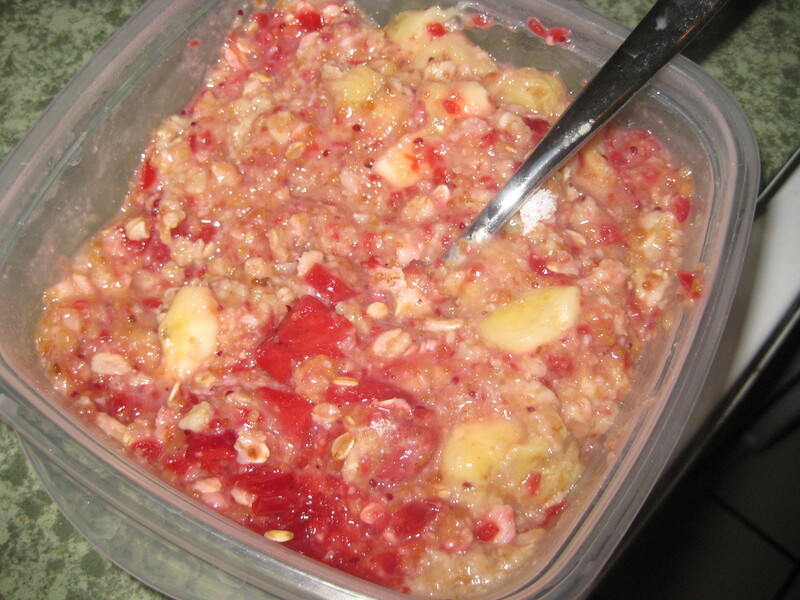 My breakfast was oatmeal with cran-apple relish, banana and H20. It was a pretty pink. 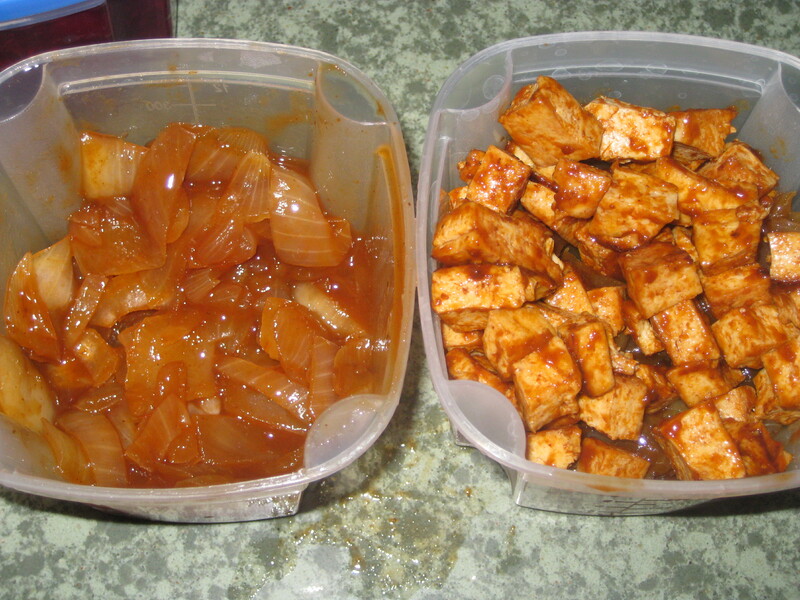 And my easy packable lunch consisted of many things I prepared on Sunday. BBQ stir fry tofu, caramelized onions and cut up veggies and a Flat Out wrap. 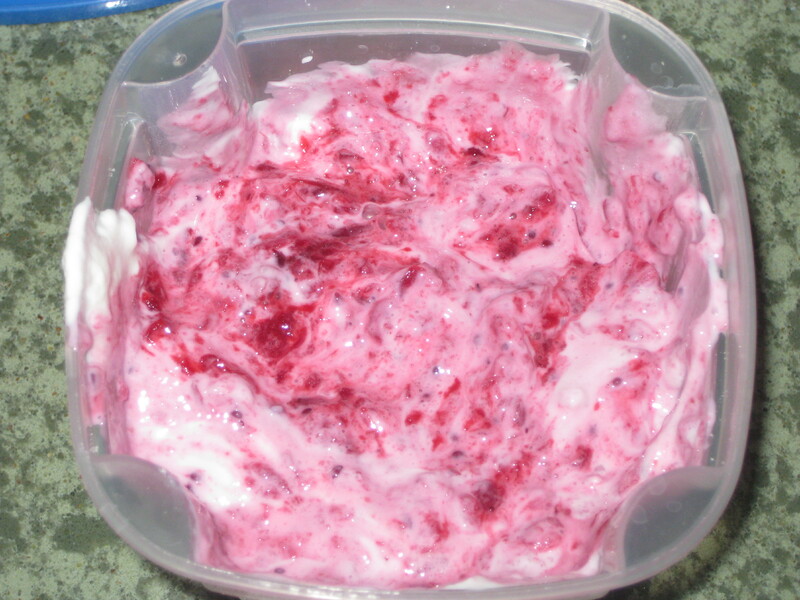 I also mixed some 0% Greek Yogurt with cran-apple relish. I eat lunch at 11am so by 2, I am starving! I had an apple that was great at the time, but I was starving again later. After school I tutored and then came around 5:30ish to make dinner (eat leftover kettle corn) and get ready to carve pumpkins! 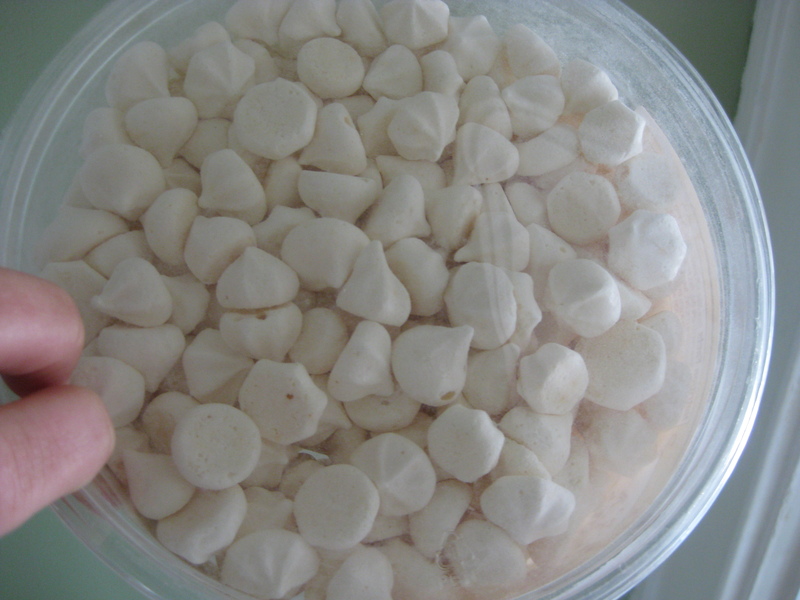 I made a new scallop recipe for dinner! It was great! 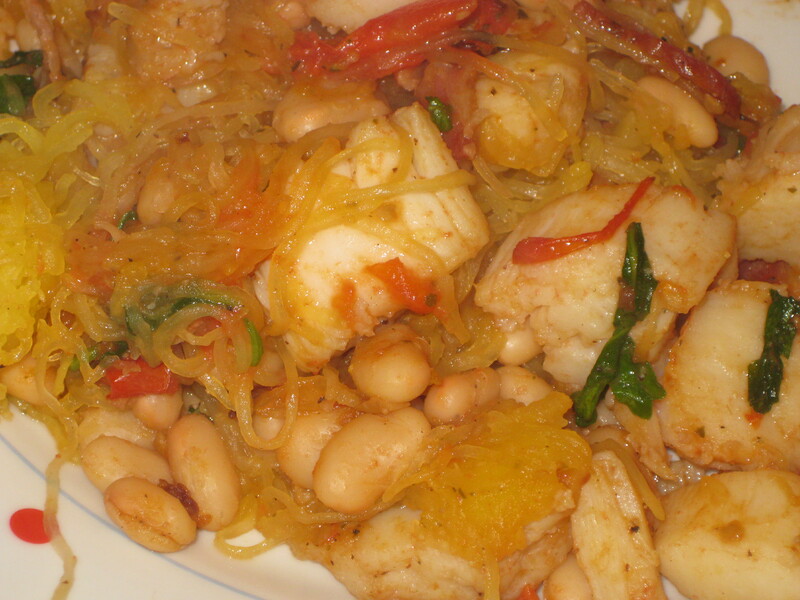 With spaghetti squash for me and Barilla Pasta Plus for B. I will call this Scallops Supreme, hehe. First, begin cooking the scallops in a pan with PAM and salt and pepper. When they are a little cooked and in need of some liquid – add the wine. Let them simmer. Meanwhile, make sure the spaghetti is cooking. Then, when the scallops are mostly cooked, add arugula, tomatoes, basil, beans, salt and pepper, and cooked bacon to the pan. Simmer until mixed/melted together, add more wine if necessary. Add the mixture of scallops to spaghetti (either kind) and mix in the pan so everything can heat together. Pics of our pumpkins tomorrow! Tonight, I made the best dinner of the week. 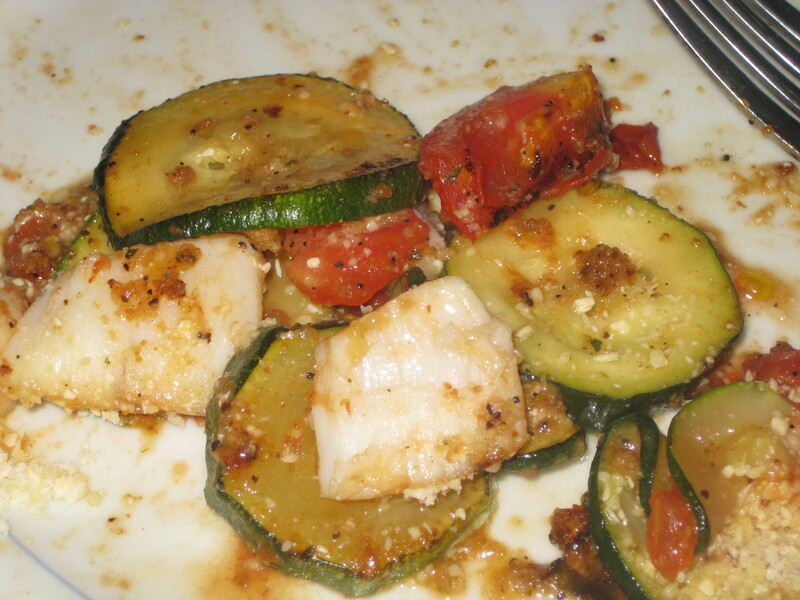 It was unplanned, fast and thrown together, but it was fresh and delicious! 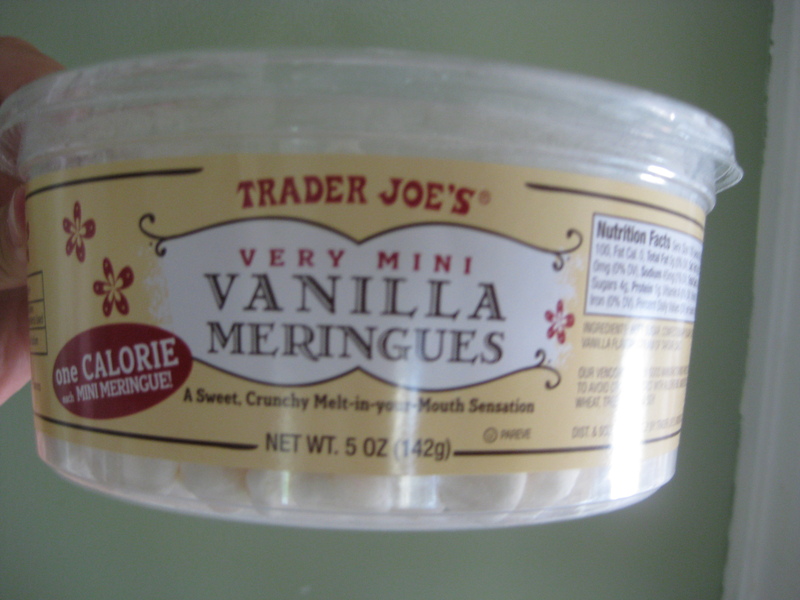 After a long Thursday at school (I had Greek yogurt and vegetable soup – 0 pts. WW for lunch) I went to the gym for Total Conditioning class. It was a great workout on the Bosu instead of the step today! I am sure I will be feeling it tomorrow. 🙂 I ran to Trader Joe’s and the grocery store after the gym and by the time I got home it was already 8pm. 2. Spray a frying pan with Pam and add veggies. I seasoned them with Garlic Wine Seasoning from The Melting Pot restaurant. This is my favorite seasoning! I use it on everything! 3. Add 1/2 c. bread crumbs and salt and pepper. Stir so veggies get mixed with bread crumbs. 4. When veggies are slightly cooked, add scallops. Let scallops cook on one side for about 3 min. or until golden brown. Flip and repeat. The scallop should we be opaque when it is cooked. 5. Enjoy with a little parm! My dessert was a few pieces of peach while I cut some up for lunch and a few handfuls of chocolate chips! I don’t know what is wrong with whatever goes wrong with blogs…but my pictures will not upload. I emailed “the internet” and told them about my problem so I am just waiting for them to magically fix this HUGE crisis! While we wait, I will have to describe (which is much less interesting and more time consuming) to you what I had for lunch. 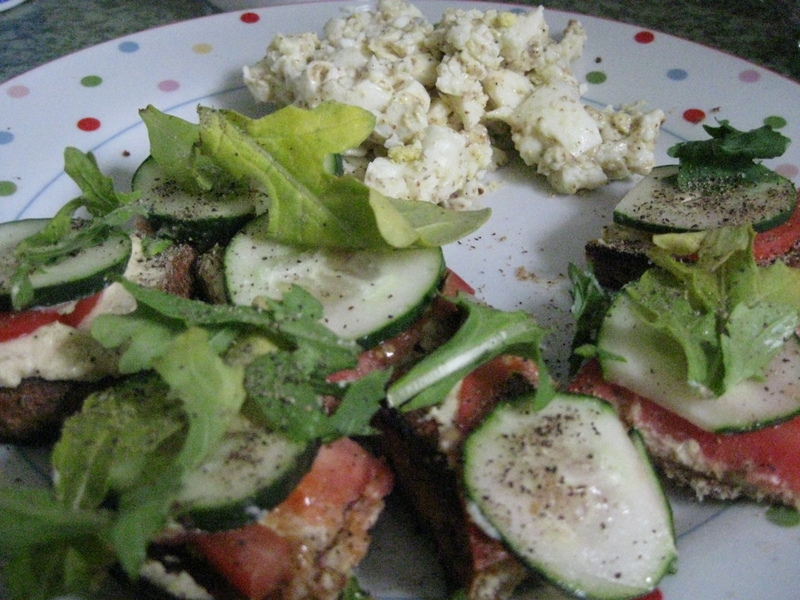 My open faced veggie sandwich was made with two pieces of sprouted wheat bread from TJ’s, hummus, laughing cow light cheese, cucumbers, tomatoes and arugula. I just topped toasted bread with hummus and laughing cow light. 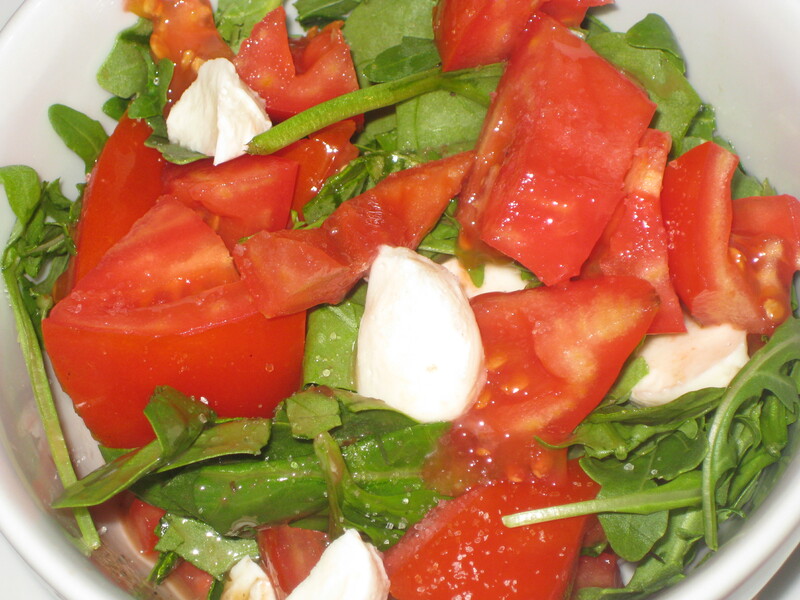 Then I added slices cucs, tomatoes, and a few pieces of arugula. In the picture (if it ever works) you will see that I cut each piece of bread into 4 pieces so I ended up with 8 bite size sandwiches! I also chopped up 3 hard boiled egg whites and 1 yolk and mixed them with a little light miracle whip and some dijon mustard for egg salad. I ended up putting a spoonful of egg salad onto eat sandwich bite. It was great! When I was getting my hair done today, around noon, I all of a sudden became starving! I’m not sure why, but when I got home I wanted to make something quick and easy. I don’t know if I have been craving breadish carbs, or thought of it because last nights dinner and this mornings breakfast, but I decided to make a sandwich! Look at how big it was! I was planning on wanting more than just a sandwich for lunch, but I was really full after all of this fiber! I did have a dish of frozen blueberries and 3 cherries for sweetness! 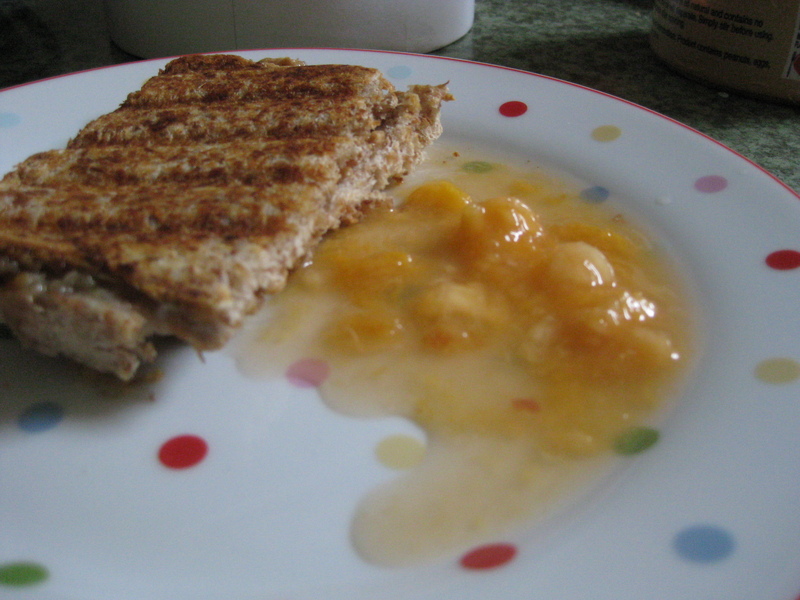 Around 3ish, I had a peach with some PB on it. Sorry no pic. I also had about 12 of these little guys! 2 small sweet peppers- sliced – I love the orange, red and yellow ones at Costco!! 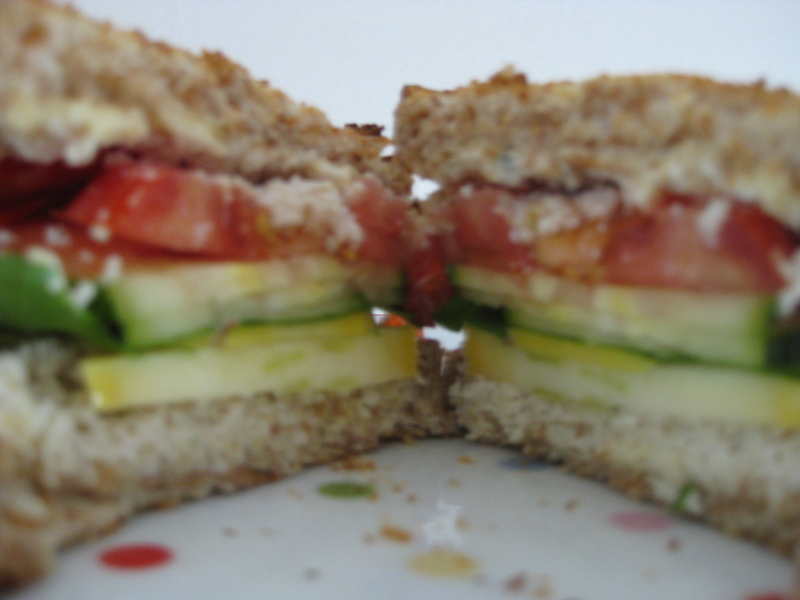 Place the bread on the panini maker and add cheese, peppers and arugula. Close panini maker and wait…patiently until it is ooey gooey golden brown! 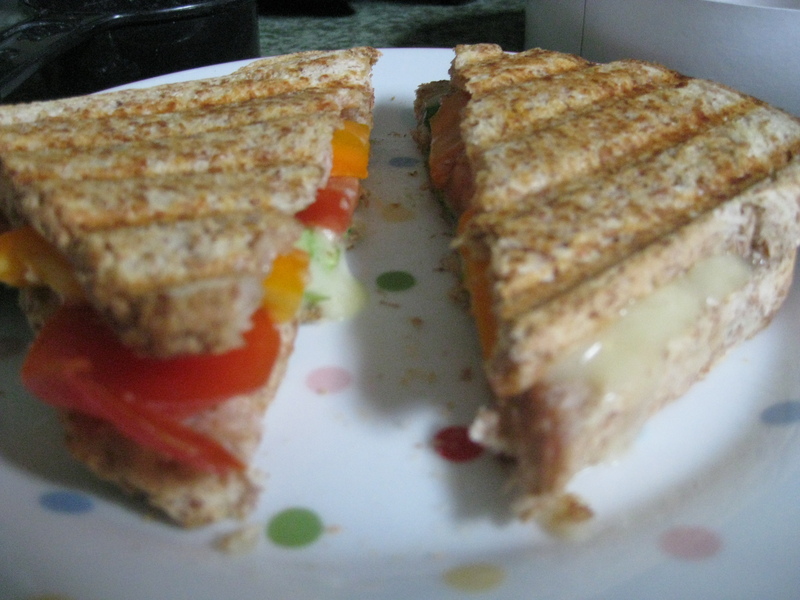 The other panini I made was sweet!